If you Google for "longest domain name" you'll find a lot of conflicting information. For example, you'll probably find more than a few sites that say that a domain name cannot be more than 63 characters. That's sort of true and sort of untrue, but to understand why takes some digging (figuratively and literally, as you'll see). All of that except "www" is a domain name - subdomains of subdomains, all under "theinfo.net". To make things even more confusing, the person could have added another host called "peanuts" (or wahatever) and could have had "www" and "peanuts" served by different websites and most of us would think of www.all the rest and peanuts.all the rest as separate website domains! Let's just ignore the confusion of website domains, shall we? Trust me, it's bad enough without that. For the moment, let's look at the definition of "domain name". A domain is identified by a domain name, and consists of that part of the domain name space that is at or below the domain name which specifies the domain. A domain is a subdomain of another domain if it is contained within that domain. This relationship can be tested by seeing if the subdomain's name ends with the containing domain's name. 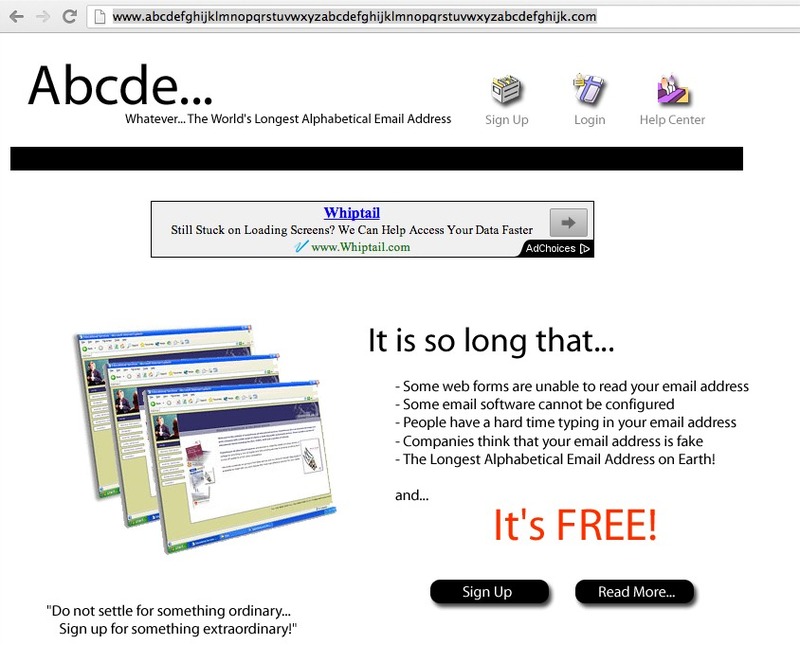 For example, A.B.C.D is a subdomain of B.C.D, C.D, D, and " ". That's from RFC1034. So, if we want to get pedantic, that "theinfo.net" mess was a subdomain, not a domain. According to the same RFC, each component of a subdomain is limited to 63 characters, so THAT would be the actual limit of a domain name. Assuming we're just counting characters, of course. What if we get into typography? An "m" is wider than an "i", so a 63 character domain name with a lot of "m"'s in it would be "longer" (wider) than one without.. silly? Sure, but the whole thing is silly, isn't it? To simplify implementations, the total number of octets that represent a domain name (i.e., the sum of all label octets and label lengths) is limited to 255. Internally, programs that manipulate domain names should represent them as sequences of labels, where each label is a length octet followed by an octet string. Because all domain names end at the root, which has a null string for a label, these internal representations can use a length byte of zero to terminate a domain name. Given that the "theinfo.net" silliness adds up to 242 characters (subtract the ". "'s) and has 11 components, that comes to only 253, so there are 2 characters missing somewhere! That was modified by RFC-1123 to allow either a letter or a digit as the first character, but underscores are not allowed anywhere in names. Notice that they are blurring host names and DNS components. That's OK; it's pretty blurry anyway. For example, is "scofaq.aplawrence.com" the host "scofaq" at "aplawrence.com" or might there be a "peanuts.scofaq.aplawrence.com"? Hard to say, isn't it? One quick check is to ask for an "mx" record. A subdomain doesn't HAVE to have an "mx", but if it does, we know it is a subdomain and not a host. Back to the contenders for one last look. We have The World's Longest Single Word Domain Name! which perhaps does deserve Guinness as it is a real place name (created for publicity reasons long before the Internet). Although "llanfairpwllgwyngyllgogerychwyrndrobwyll-llantysiliogogogoch" weighs in at only 60 characters, I think it deserves recognition. Remember the "would" and "should" of RFC1123 above? Point taken.